Ah, trains. Everybody thinks they’re wonderful don’t they? Because I live in north London, most of the trains I take are run by First Capital Connect. And when I say ‘run by’, I mean that in the loosest possible sense. 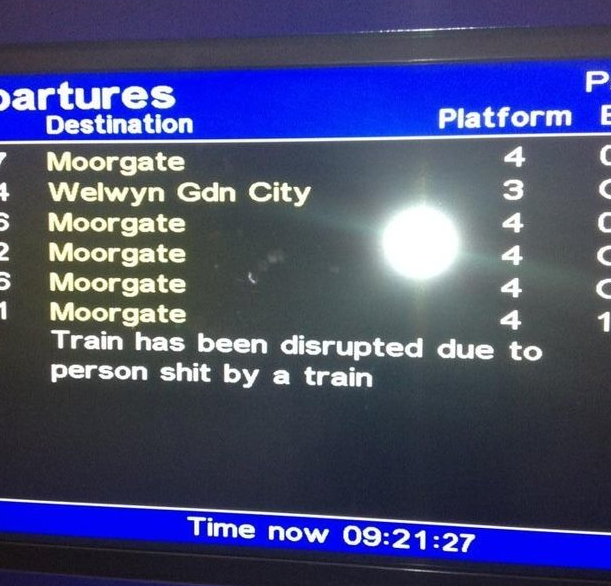 Ah, trains. Everybody thinks they’re wonderful don’t they? Because I live in north London, most of the trains I take are run by First Capital Connect. And when I say ‘run by’, I mean that in the loosest possible sense. They put their name on rolling stock that occasionally decides to pick up paying punters when some staff have turned up for work. So THAT’s what they were doing in the forest. The CEO of First Capital Connect and the Mayor of Royston here, apparently declaring themselves open. But they’ve taken things too far. 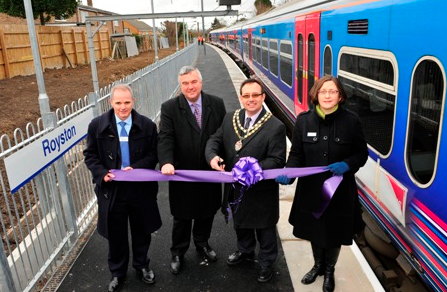 In a misguided and doubtless very expensive gesture, First Capital Connect has gone cutesy. Ladies and gentlemen, let me introduce you to Edwin Tickett Esq. This is basically what happened to Wally when he went to live in Hackney. 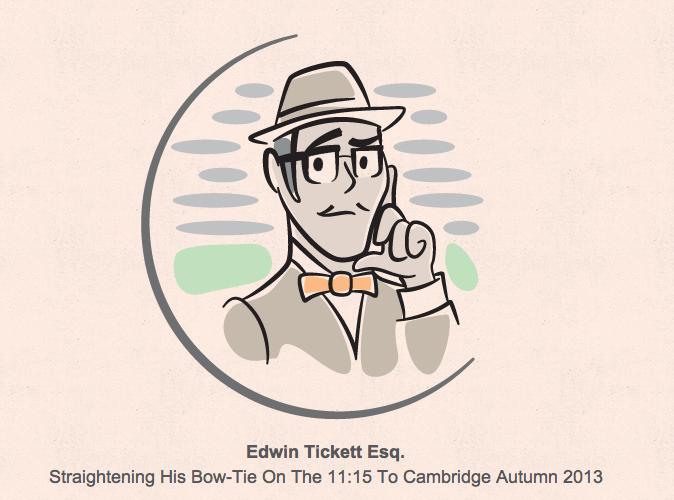 Edwin, you see, is FCC’s Edwardian avatar for a series of cartoons about how to behave properly on the trains. Teaching people how to use them. Patronising stuff, like not running on the stairs and not kickstarting a hog roast in the quiet carriage. 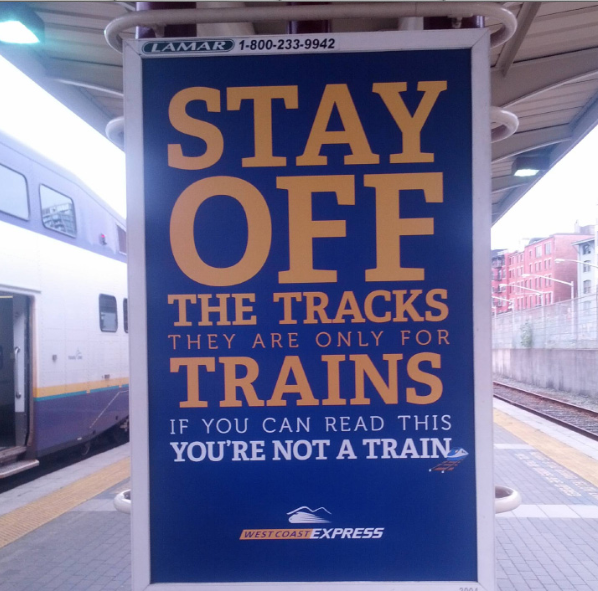 According to the press release, this is all in aid of FCC’s ‘campaign encouraging passengers to be more careful on the railway and to be more considerate of one another’. But harrowingly, they decided to achieve this through the power of gittishness. 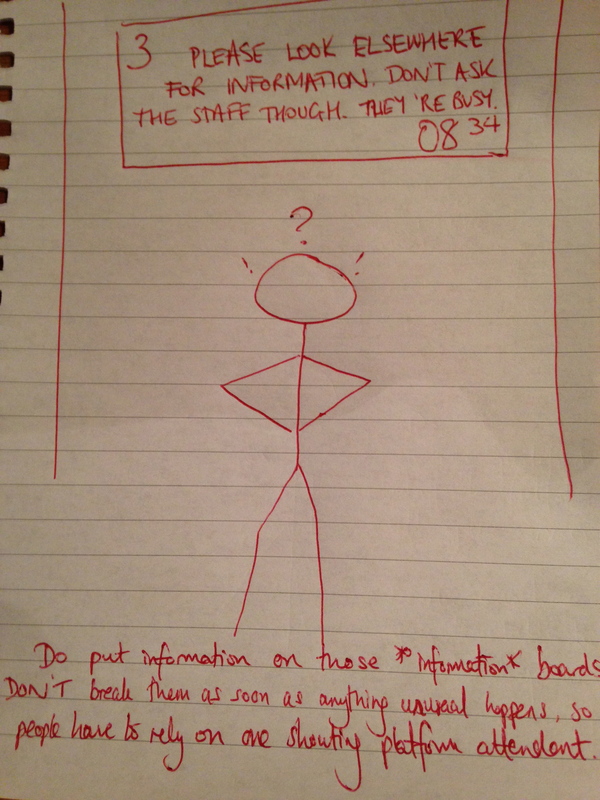 The press release also describes the cartoons as ‘humorous’. This is inaccurate, if not illegal. I defy anybody, literally anybody at all, to look at these nagging messages and feel anything other than a boiling rage that money that could easily have been spent on trains, train staff, cleaning a station once in a while, opening the waiting rooms that are alwayslocked shut, free Cornish pasties to all customers, Jesus Christ, ANYTHING, instead got lashed on this soggy guffpap. Phew. Let’s take a breather and look at something nice to calm down, shall we? 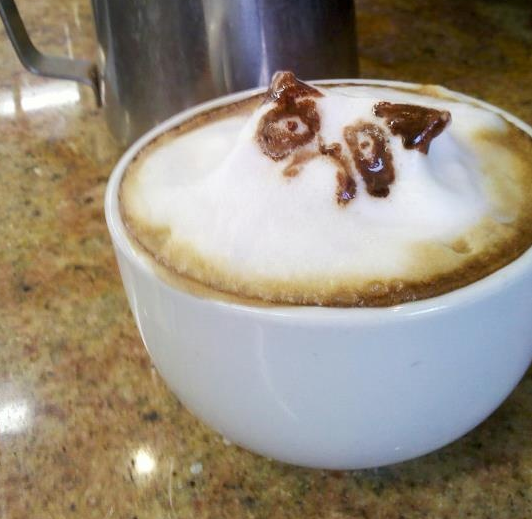 It’s a grumpy cat latte! Yes! Do you know what would improve passenger consideration at a stroke First Capital Connect? Everyone having lower stress levels. And what would be the greatest contributor to achieving that? Other than a grumpy cat latte? You being less dismal. 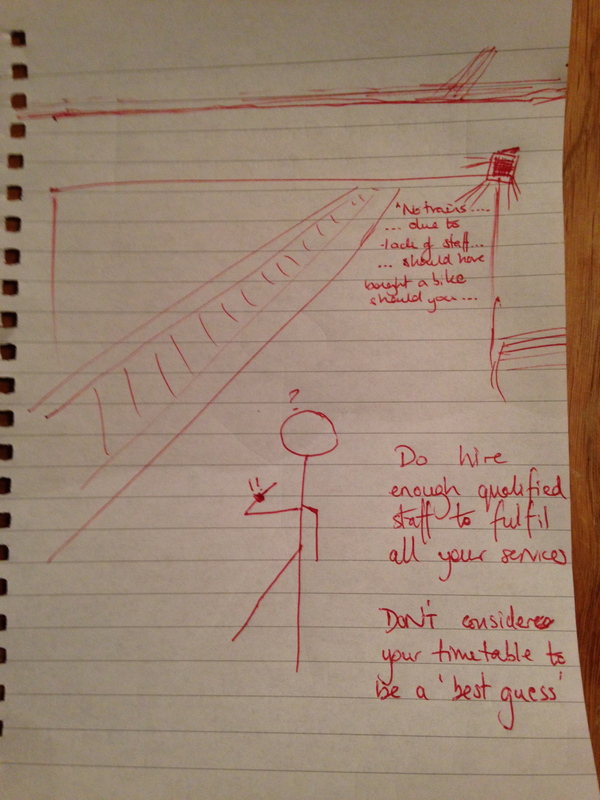 At no expense to the train-using customer at all, I’ve created my own avatar – Mr P. Oorly-Drawn – to explain a couple of messages about how train companies can be more considerate to their customers.